Briella has had a fever all day. Her heart rate has moments of sky rocketing into the 200s. She is having a loose stool and more than normal reflux/spit up. And I would say that my baby was more lethargic today. I had to make a break for the parent room today where I completely lost it. I wanted to scream "Why my baby?" I had a moment of self pity. But then I read the message from a dear friend who just had a preemie herself, and all the loving comments on facebook from all of you. I was reminded of how far Briella has come. She is strong. I need to remember that. I think she is probably stronger than me. 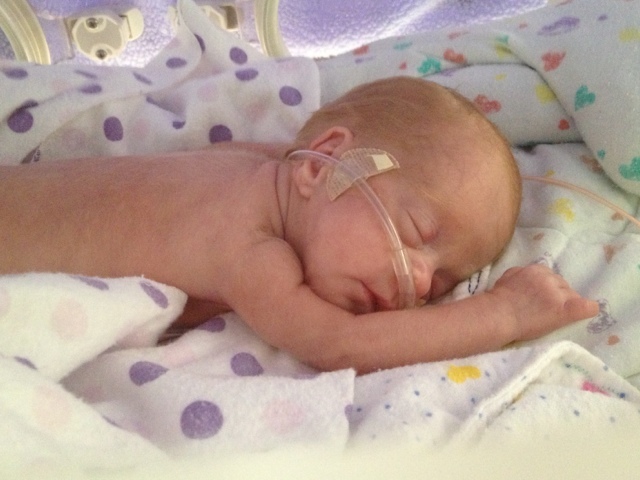 This is the scariest news I have got so far, as infection could be deadly for such a fragile micro preemie. After they ran her CDC, the initial report showed no immediate infection. However it showed her Lymphocytes were high. That could mean that she has a virus. Still scary. They keep turning the temperature of her isolette down and Briella still will get warmer. So we do not know what is going on yet. We just have to wait and see how she does. That is so hard. Not sure how I will get any sleep. I did get to hold her, only for an hour. It was interrupted by her head ultrasound. We have the results back on her brain. Again it showed no bleeding anywhere in the brain. It also said that nothing abnormal was found! It was wrote by a different radiologist than the last one. I am hoping and praying that these results are accurate and that there are now NO bright/white spots in her brain anymore. That would mean the risk for brain injury goes way down!! I will clarify with the doctor tomorrow and view the films from Nov 5 to today's films to make sure the results are accurate. I am learning to not get too excited until results are confirmed. Brie lost weight tonight for the first time in almost 2 weeks. I think it was 20 grams that she lost. 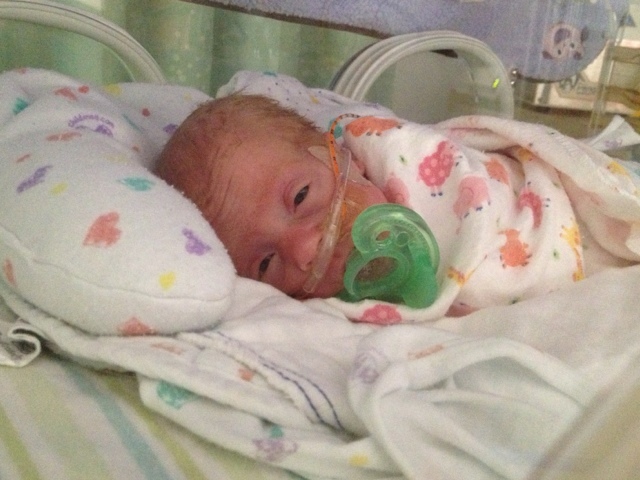 Please continue to pray that Briella gets and stays healthy. Stays infection/Virus free. Pray for her continued strength. Pray for the staff taking care of her. 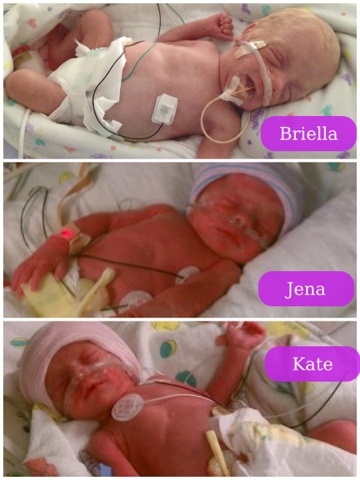 The picture of the three babies are Briella with her new cousins who were born 9 weeks early on Saturday night. Honest diapers have the reputation of being the best disposable diapers on the market, and the reputation is deserved. They are more absorbent than other expensive diapers, as they are designed for overnight wear, and more importantly, they do NOT have the annoying liners or anything.